1) Boil the milk with the cardamom pods. 2) Mix the egg yolks with the sugar and cornstarch and pour in the milk. 3) Add the cashews. 4) Return to the heat and cook on a low heat until it thickens, being careful not to let it boil. 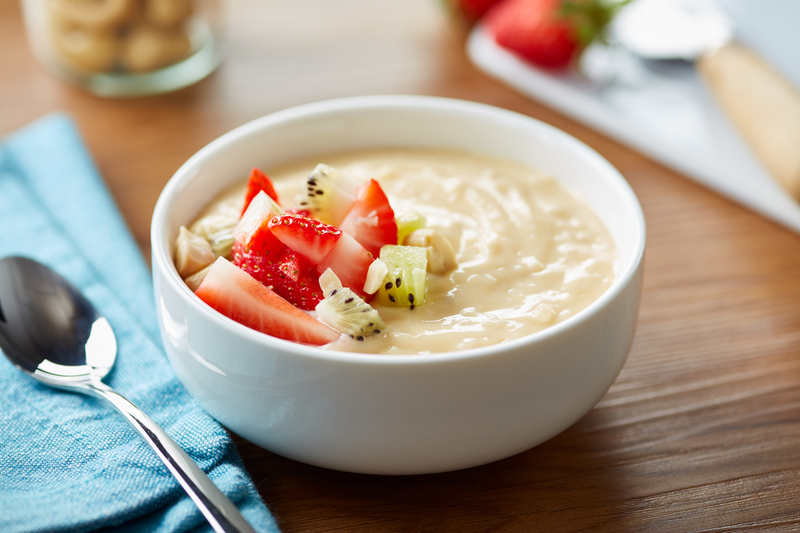 5) Allow to cool and serve in glasses with the kiwi, topped with the strawberries.